GRANDVIEW, Wash. — The 36th Washington State Wine Competition will be staged Friday, June 21, 2019, on the Grandview campus of Yakima Valley College, in the heart of Washington wine country. From 1980 through 2015, the judging was operated by the Central Washington State Fair in Yakima. Fair officials discontinued the judging when longtime competition director Ruth Anglin retired. The judging is now being operated by Great Northwest Wine, a media company based in Richland, Wash. It is owned by Eric Degerman and Andy Perdue, newspaper veterans who have spent two decades as wine journalists. 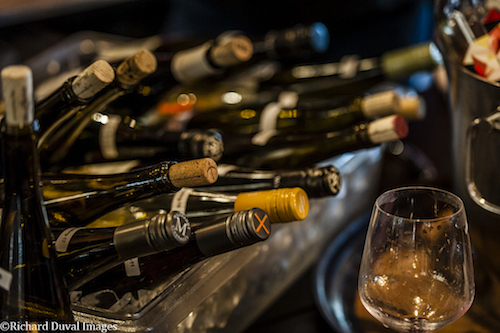 Both judge wine up and down the West Coast and operate several competitions each year throughout the Pacific Northwest. The Washington State Wine Competition also serves as a fundraiser for the next generation of Washington winemakers, as proceeds from the judging fund a scholarship at Yakima Valley College’s winemaking program. Entries must arrive no later than Wednesday, June 19, 2019. Wineries may drop off wines at the college to save on shipping. Kristine Bono — direct-to-consumer manager, Tertulia Cellars, Walla Walla, Wash.
Daniel Carr — Co-owner, Visconti’s Italian Restaurant Group and Cured by Visconti, Wenatchee, Wash.
Megan Hughes — winemaker, Barnard Griffin Winery, Richland, Wash.
Ellen Landis —sommelier/journalist, EllenOnWine.com, Vancouver, Wash.
Richard Larsen — research winemaker and enologist, Washington State University, Richland, Wash.
Gregg McConnell — editor, Wine Press Northwest magazine, Kennewick, Wash.
Ken Robertson — columnist, Wine Press Northwest magazine, Kennewick, Wash.
Hank Sauer — panelist, Great Northwest Wine, Kennewick, Wash.
Brad Smith — instructional technician vineyard and winery technology at Yakima Valley Vintners, Yakima Valley College, Grandview, Wash.
Any winery that is physically located in Washington state may enter this competition. The wines may come from any AVA within Washington. Please submit three bottles of each entry. Wines are judged by some of the top wine professionals throughout the state, including journalists, winemakers, retailers and educators. Gold medals are announced immediately via email to wineries and on Twitter. Results are posted as soon as the competition concludes. Results are sent to our newspaper partners for inclusion in print and online. Great Northwest Wine’s online audience (25,000 unique visitors per month and more than 2,800 email newsletter subscribers) receives results in a timely manner. We link to medal winners’ website at no additional cost. 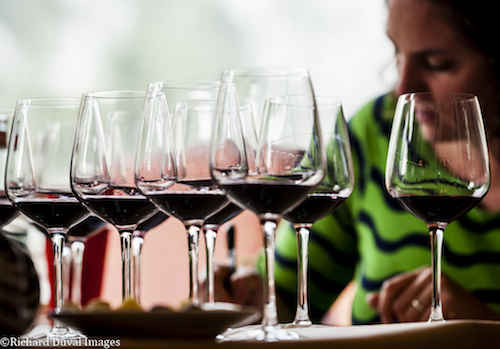 Top winners appear in our weekly wine column, which is syndicated in 22 Northwest newspapers. Select gold medal winners are featured as a “Wine of the Week” in the Tri-City Herald newspaper and on Wine Press Northwest’s website over the course of several weeks after the competition. Our growing social media network receives alerts about competition medal winners. Gold medal winners are automatically eligible for Wine Press Northwest magazine’s year-end Platinum Judging. Gold medal winners are automatically eligible for consideration in The Seattle Times Top 50 Wines of the Year list. Gold medal winners are automatically eligible for consideration in Great Northwest Wine’s Top 100 Wines of the Year list.